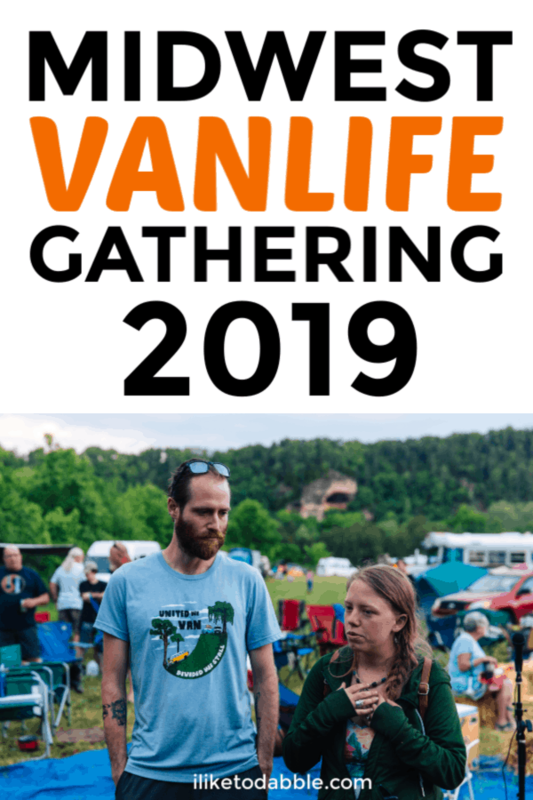 This is a guest post by Gnomadhome.com about their upcoming 2019 Midwest Vanlife Gathering. 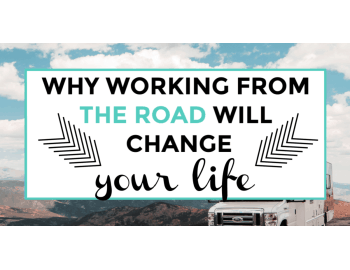 Are you living on the road, traveling full time, and wanting to connect with like-minded individuals? Do you have a strong curiosity and desire to build a van but don’t know where to start? Are you passionate about giving back? 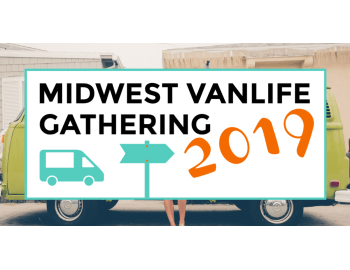 Then come on out to the 2019 Midwest Vanlife Gathering! 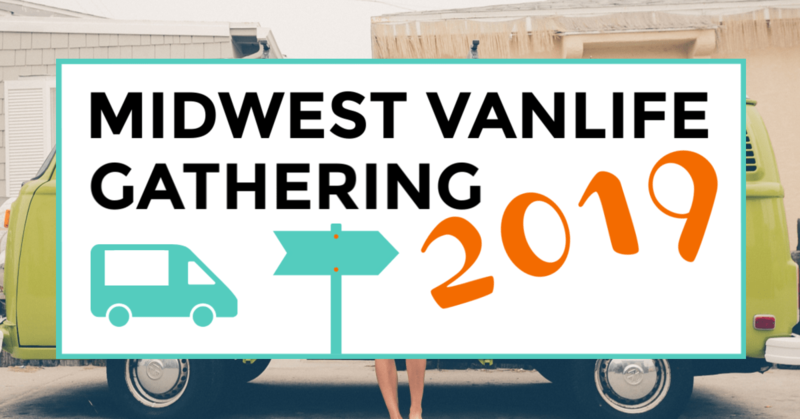 The Midwest Vanlife Gathering is May 17-19th, located at Camp Manitowa-Cedar Point in Makanda, Illinois. 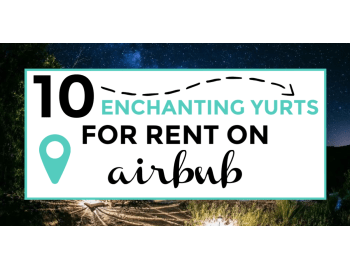 This event is hosted by us (Gnomad Home) and is sponsored by Project Vanlife. A photo taken from last year’s gathering including people of the nomad community outside in a field next to their vans, surrounded by woods. This “block party in the woods” is for nomads of all sorts. 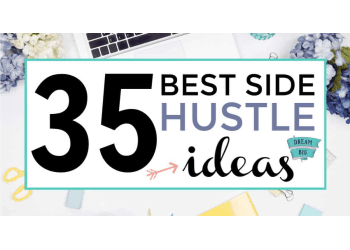 Whether you travel full-time, part time, or on weekends, we invite you to join us! 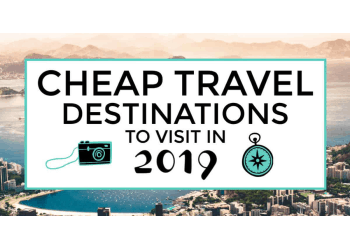 Whether you travel by van, school bus, RV, trailer, bike, plane, train, boat, or just the old-fashioned feet and backpack, we invite you to join us! Whether you have been traveling since you were 5, or you have never left your hometown, we invite you to join us! 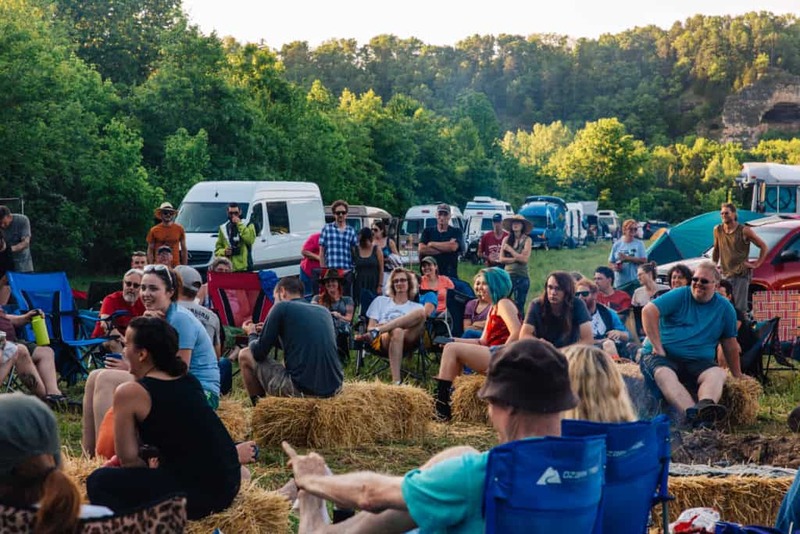 The awesome St. Louis-based Americana-roots band The Mighty Pines will be kicking off the weekend with a welcome concert on Friday evening – followed by connecting with other nomads over bonfires as well all settle into our groove for the weekend. In the evening, we invite everyone to prepare a dish to share at our community potluck dinner. 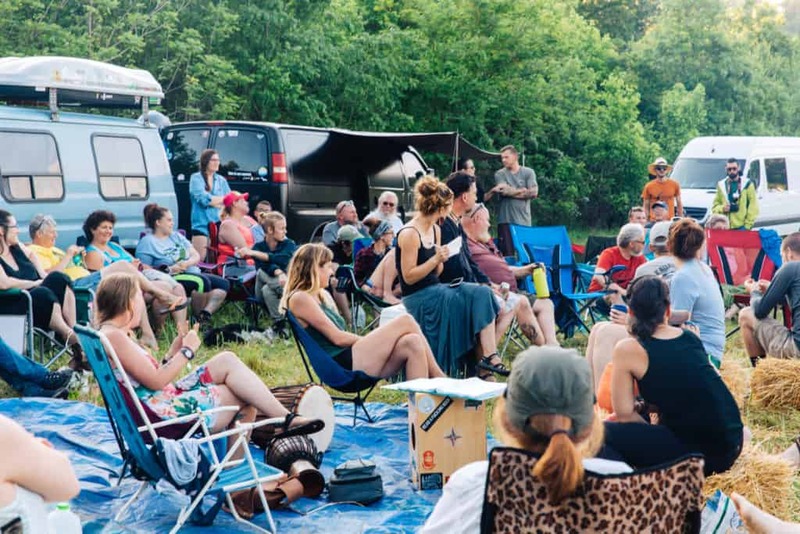 This isn’t just any potluck – the vanlife community really knows how to throw down at potlucks! We still have people contacting us raving about the incredible potluck at last year’s event! Then once everyone is done eating and is settling into their food comas, we’ll begin announcing the winners of this year’s epic charity raffle! Win Awesome Stuff in the Charity Raffle! 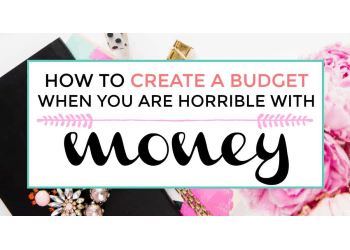 Hiking boots, backpacks, purses, dog accessories, jewelry, and much more! This raffle is already super epic and we’re still working on gathering even more items for you to win. And the best part is – we are donating 100% of the proceeds! 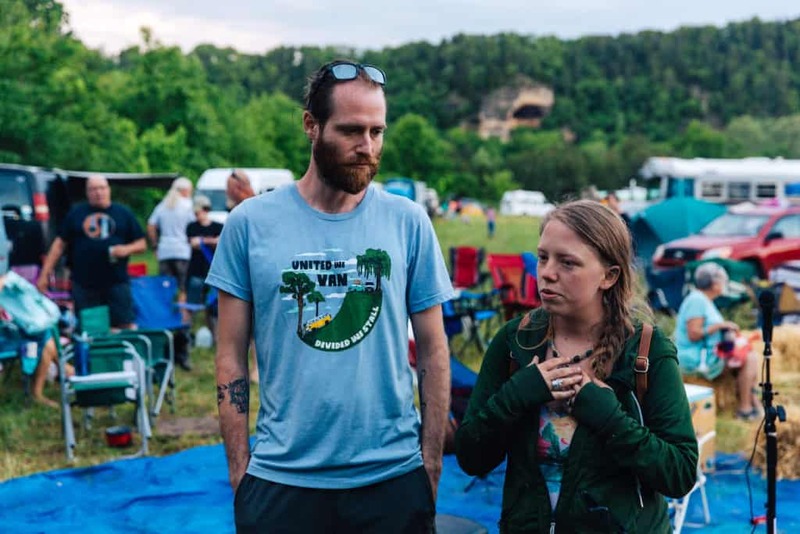 An image of a woman and a man,Jayme and John of GnomadHome speaking at the Midwest Vanlife Gathering last year. Last year we were blown away by the turn out, and it encouraged us to make this year bigger, and better, with a heavier emphasis on coming together and giving back as a community. Last year we raised over $6,000 for Adventure Works of Dekalb County, a nonprofit that works with marginalized youth through adventure therapy. And this year we’re aiming to blow that number out of the water! This year we have chosen three nonprofits to partner with. The primary beneficiary will again be Adventure Works. 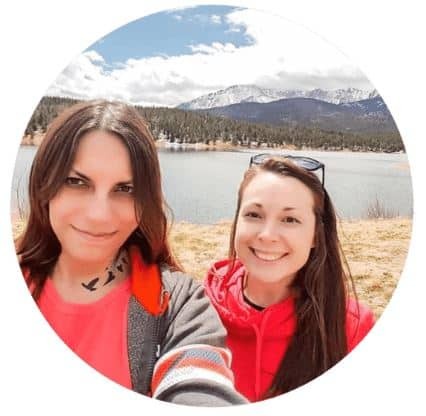 A portion of the proceeds will go to the Pancreatic Cancer Action Network, which supports research and advances the needs of those affected by pancreatic cancer. Finally, we will also be donating to Parks & Trails Council of Minnesota that works to acquire, protect and enhance critical land for the public’s use and benefit. Photo showing nomads laughing and having fun as they gather together in a field, surrounded by woods and cliffs. This event is created by nomads passionate about the outdoors FOR nomads passionate about the outdoors. This is an opportunity for us all to come together in the beautiful Midwest and meet neighbors face-to-face who share deep, common interests with ourselves. We invite you to join us. We invite you to have a wonderful experience. We invite you to bring your friends, your family, your kids and your pets (Yes! This event IS pet and kid friendly!). And we invite you to grow in love and community for a weekend that will leave you feeling more fulfilled than before you arrived. The Midwest Vanlife Gathering is run by Gnomad Home and sponsored by Project Vanlife. This is 100% a fundraising event. You must purchase tickets in order to enter the property. Ticket prices are listed as per vehicle. The event will be hosted at Camp Manitowa – Cedar Point in Southern Illinois 5/17-5/19. Go here to purchase your tickets. This event is open to humans of all types of backgrounds. We welcome all races, religions, sexualities, genders, and backgrounds. The only thing unwelcome at this event is discrimination and hate. Thank you in advance for your openness and understanding. Midwest vanlife gathering 2019 pinnable image featuring jayme and john of gnomadhome, speaking to others in the community.